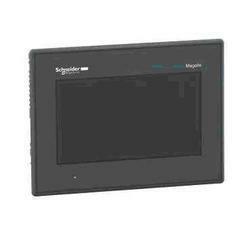 We offer HMI Operator Panels. The HMI touch panel with a 7.5“ TFT display can be used both, as operator and control terminal. The control system used is Co De Sys V3. It is approved according to the international standard, is the visualization software used. It was especially developed for embedded systems.Variables are exchanged via interface between control unit and visualization. 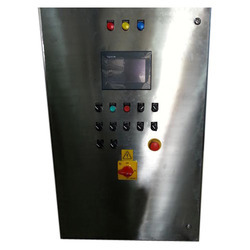 The HMI panel is equipped with all relevant RT Ethernet and fieldbus systems. In order to comprehend and fulfill the emerging requirements of valued clients, we are able to offer a superior range of Human Machine Interfaces. The offered range is made utilizing highly advanced machines and latest techniques in compliance with the benchmarks of quality. Additionally, the offered range is tested on different parameters to make sure that flawless products are delivered at clients' premises.